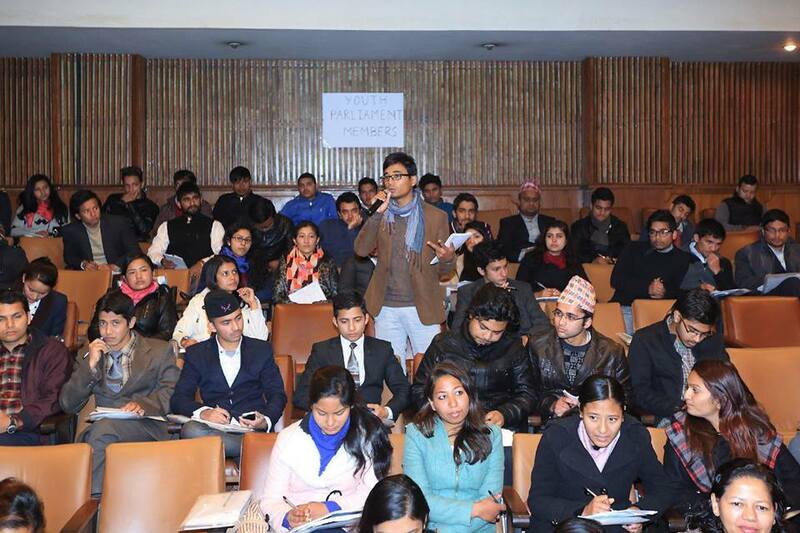 A first of its kind event in Nepal, a Mock Youth Parliament session by Cheers Nepal was recently concluded this Saturday at the Nepal Tourism Board venue. Sponsored by UNDP, this event which was powered through youth enthusiasm and innovation brought together a diverse group of future leaders who debated, applauded and together created vision for a progressive and intellectual Nepali society. The event started with an uplifting speech from Mr. Renaud Meyer, Country Director of UNDP Nepal who discussed the current situation of Nepal and the role this event could play in bringing together a Youth Alliance to help decide what positive goals Nepal as a nation should set. 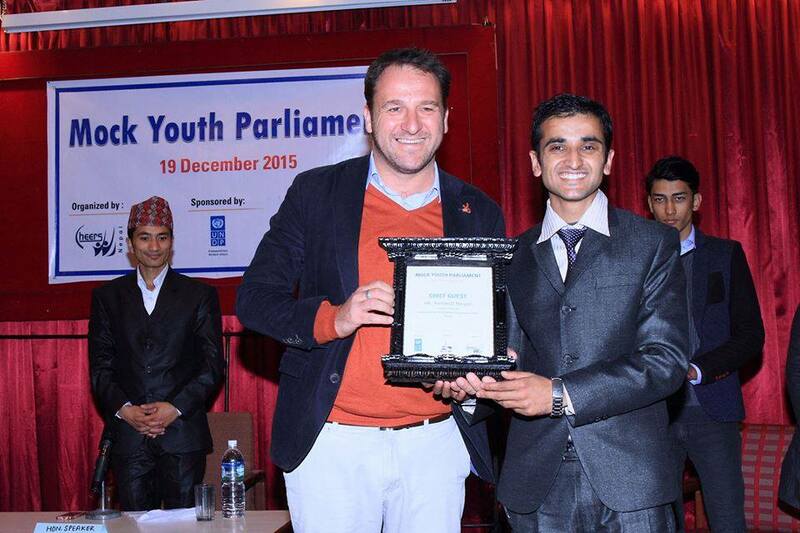 Moderated by the Speaker Mr. Dinesh Thapa, the Vice President of Cheers Nepal the Mock Youth Parliament featured youth themselves fulfilling the formal roles required to run a national level parliament. Over 100 members of the house or, the participants who were elected after a rigorous and selective process debated on namely, two national issues; Federalism and the Quota System. New ideas, terms and information were shared between participants who under a strict time limit articulated statements that addressed the topics at raise. The Federalism debate brought up arguments that included the creation of ethnic based states, whether Democracy for Nepal is the key or rather should the nation be administered as it is with 5 development regions and 75 districts. The Quota System debate was equally intriguing as to whether having reservations in educational institutions and government positions the key to progressive development for all or, is it rather hindering the development itself of those who receive the benefits awarded by forcing them to give up their competitive edge. The reactions and reviews received brought out a clear message as to what the participants thought about this event and the response was overwhelmingly positive. Too long, had the youth of Nepal been suppressed and their voices downplayed thus, them finding a platform that encouraged them to share their opinions was positively received. 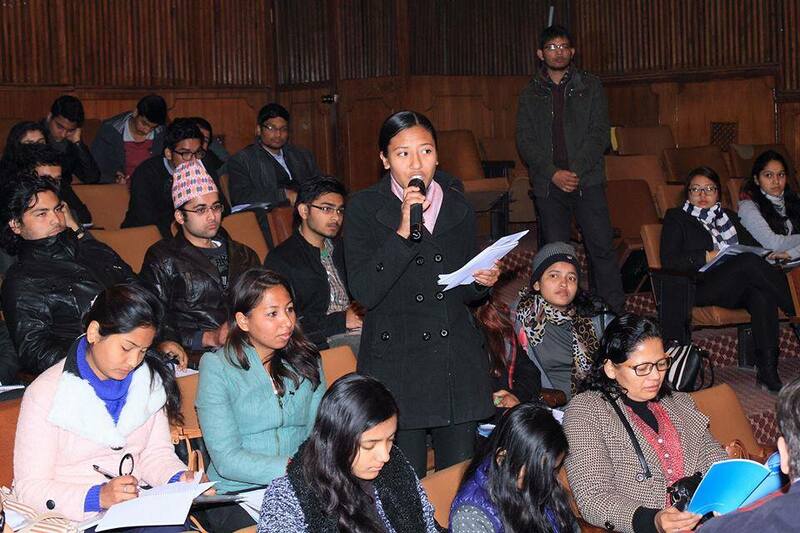 Ms. Rojina Shrestha was one of the participants and she stated that, “I find this mock session very effective for the engagement of youth in political issues”. Her peer, Mr. Abhishek Bam stated that, “Every individual who spoke in this event was active and positive about this step taken by Cheers Nepal. The two major topics i.e. Federalism and the Quota System were discussed in detail and I learnt much from these debates”. On the changes that this program brought to her, Monalisa Biswakarma wrote, ” I did not hesitate in making my arguments and this motivational event helped develop my confidence in facing a youth mass”. Kushal Darji on the feedback form wrote, “I learnt to think globally and act locally. It is a great opportunity as a youth to participate in this Mock Youth Parliament and I hope Cheers Nepal continues organizing events like these is future days”. This 3 hour long intellectual youth gathering was designed to be a precursor to a larger nationwide project by Cheers Nepal which will feature Nepalese youth from different ethnic, cultural and geophysical backgrounds and provide them with a platform to share their ideas, innovation and actions on a national level.